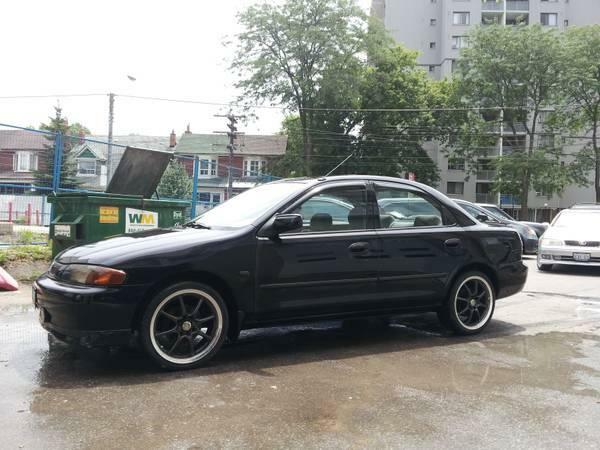 1997 Mazda Protege LX - great on insurance, gas(1.5 litre 4 cyliner engine), and is a great winter car. The interior is in pristine condition. Also comes with 4 brand new winter tires on steel rims that were only used last winter(like winter really exists anymore...). Low KM's considering that it is a 1997. If you have any questions at all or would like to come see the car, do not hesitate to give me a call at anytime.